Justin Verlander's bill at the Beverly Hills Hotel included a couple of McCarthy salads, eggs, pancakes and a drink called the Green Envy. Right below that was an off-the-menu item known as the "Dodger Killer" at a charge of $1,000,000. The bill included a couple of McCarthy salads, eggs, pancakes and something called the Green Envy. Right below that was an off-the-menu item known as the "Dodger Killer" at a charge of $1,000,000. HOUSTON — Dodger fans are apparently still stinging a little from the Astros 2017 World Series win. 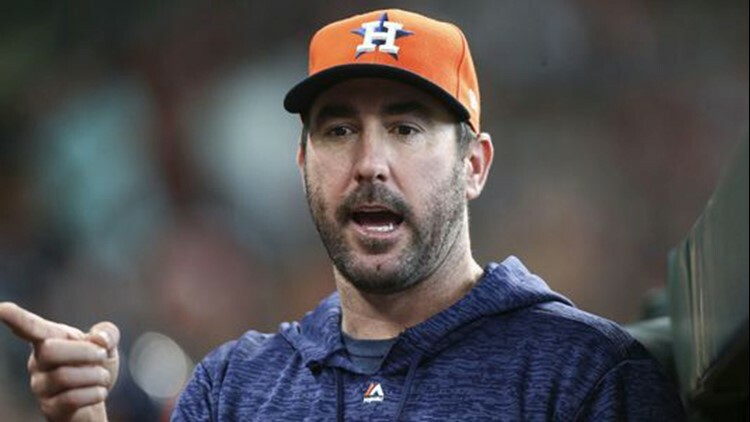 Pitcher Justin Verlander learned that the hard way when he got his tab from a lunch at the Beverly Hills Hotel in Los Angeles. 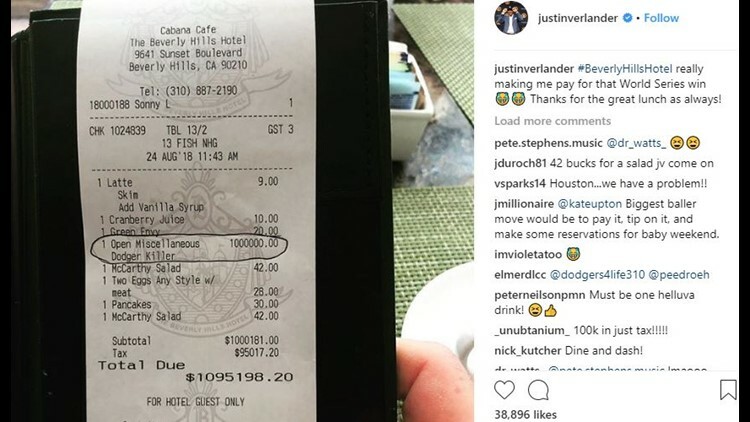 "Beverly Hills Hotel really making me pay for that World Series win," he posted on Instagram, along with a photo of his $1,095,198.20 bill. "Thanks for the great lunch as always!" The bill included a couple of McCarthy salads, eggs, pancakes and a drink called the Green Envy. Right below that was an off-the-menu item known as the "Dodger Killer" at a charge of $1,000,000. That jacked the tax up to 95,000 plus change. It was all in good fun, of course.